The Baltic index, was down 0.4%, at 689 points and has fallen about 46% marking its biggest quarterly decline in three years. The capesize index dropped 17 points, to 150 points, an all-time low to a record low on weak demand from top miners Brazil and Australia. 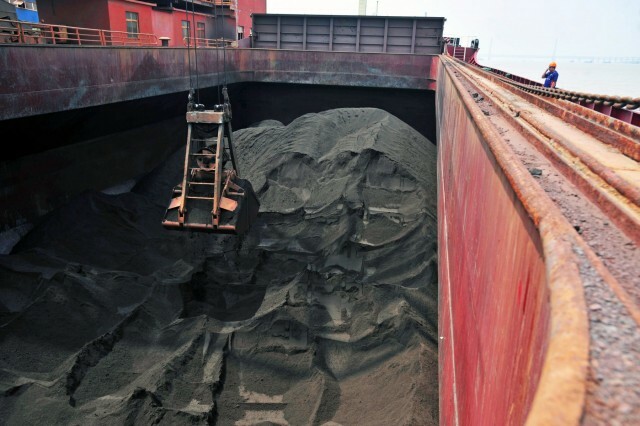 Average daily capesize earnings, which typically transport 170,000 tonne-180,000 tonne cargoes of iron ore and coal, fell $76 to $3,796. …Pilbara Ports Authority said in its latest update. A Brazilian court has ordered Vale SA, the world’s largest iron ore miner, to suspend operations at two more dams. The court demanded the company to prove the structures are stable, as part of a series of such orders forcing Vale to halt operations, following an accident in the company’s facilities in January that killed about 300 people. The macro-economic factors and the tragic events in Brazil along with uncertain US-China trade relations heightened uncertainty and created trading opportunities. The total impact on the FFA market was to increase combined FFA volumes by 44% in the year to date 2019. Brazil’s exports curtailed with export demand switching decisively to Australia. 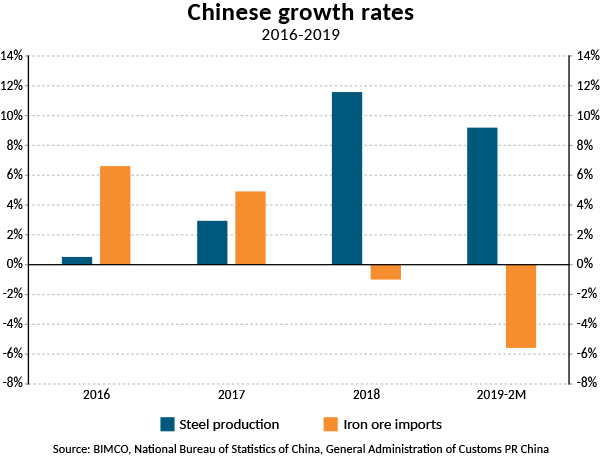 China set to import 60% of Australian production and 70% of global seaborne trade volumes of 1.5bn tonnes in 2019. Οι διά θαλάσσης εμπορευματικές ροές περίπου 8 εκατ. τόνων σιδηρομεταλλεύματος από τη Βραζιλία θα τεθούν σε «κίνδυνο» το 2019 χωρίς οι απώλειες αυτές να λαμβάνουν υπόψη την πρόσφατη κατάρρευση φράγματος της Vale, σημειώνει σε πρόσφατη έκθεσή της η Wood Mackenzie.